Catholics on Guam learned in July of last year that you had revoked the priestly faculties of Fr. John Howard Wadeson, a priest incardinated here on Guam but serving in San Francisco. We have since learned, through a recorded conversation between Fr. Edwin “Pius” Sammut, the lead catechist of the Neocatechumenal Way for Micronesia, and Mr. Crispin Gallendez, the leader of Fr. Wadeson’s Neocatechumenal community here on Guam, that he was still serving as a Neocatechumenal itinerant presbyter in the Archdiocese of San Francisco as late as October 2014. Your Excellency, while no criminal charges were ever filed against Fr. Wadeson, his faculties were revoked here after the faithful discovered two credible charges of sexual molestation had been lodged against him. We know that he is free to live and work in San Francisco, but we believe that he is ministering as a priest there, and we ask you to ascertain the truth of this matter. I have attached a link to the audio recording mentioned above, as well as the reasoning that led to our conclusion. Recently somebody sent me a recording from the Neocatechumenal Way’s “Beginning of the Year” Convivence for leaders held in October 2014. During the introduction of all of the communities present, Crispin Gallendez, the responsible (leader) of the third Neocatechumenal community at the Dulce Nombre de Maria Cathedral Basilica in Hagatna, Guam, tells us where Fr. John Wadeson is, and what he is doing. On July 22, 2014, the Archdiocese of Agana announced that Archbishop Anthony Apuron had removed Fr. John Howard Wadeson from “active and public ministry” in response to “concerns in the community”. A 2004 report on clergy abuse issued by Los Angeles archdiocese lists Fr. Wadeson as being credibly accused of molesting two people between 1973 and 1977, while he was working as a priest with the Divine Word Missionaries religious order. As each community is introduced, the responsible introduces himself or herself, states how many children they have, and then lists the “charisms” of their community for the entire gathering. 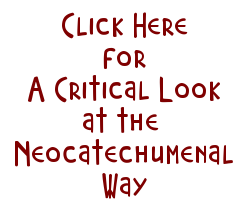 In Neocatechumenal parlance and in this context, a “charism” is a priest, religious, missionary, or missionary family that has been assigned to the community or has come forth from that community. Crispin Gallendez told us, and he is in the position to know, as he leads the community to which Fr. John was assigned. Community responsibles are frequently encouraged to keep in contact with their communities’ “charisms”. Moreover, Fr. John left Guam in July of 2014 with a flurry of media attention and controversy, and Mr. Gallendez’s statement was made three months later. There is no other “Fr. John” listed on the Archdiocese of Agana’s directory of priests, and more importantly, no other “Fr. John” serving the Neocatechumenal Way and incardinated in the Archdiocese of Agana. Therein lies the problem. When the Archdiocese of San Francisco heard that the Archdiocese of Agana had removed Fr. John from active ministry, they too removed his faculties to serve as a priest there. Is Fr. John serving there with the approval and blessing of the Archbishop of San Francisco? “LA priest accused of molestation now on Guam“, Marianas Variety, July 20, 2014, http://www.mvariety.com/cnmi/cnmi-news/local/67357-la-priest-accused-of-molestation-now-on-guam, retrieved January 18, 2015. 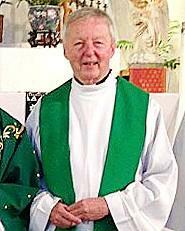 “US priest leaves Guam denying historic abuse allegations”, CathNews New Zealand, July 29, 2014, http://cathnews.co.nz/2014/07/29/us-priest-leaves-guam-denying-historic-abuse-allegations/, retrieved January 18, 2015.